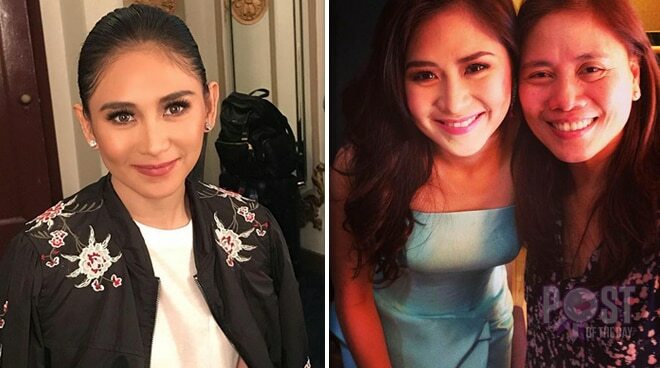 After her emotional breakdown at her Las Vegas concert, Sarah Geronimo seemed to be feeling better in the succeeding shows of her US tour. In a clip shared by a netizen, one fan shouted and told the Popstar Royalty to get married already. Sarah, who took the comment lightly, replied, “Huwag po kayong ganyan! Kausapin niyo po 'yung nanay ko. Huwag ganyan” while laughing. She then joked and said, "Nagtatrabaho po ako, ma'am. Wait lang, ma'am. I'm working here. Don't you distract me, ma'am. Because I'm distract-able! Asan na nga ba ako? Ma'am kasi sabi ko, huwag niyo ako idi-distract." Sarah has just finished her North American tour.